Plaza Optometry in Santa Ana, CA offers a uniquely broad selection of different types of contact lenses. We offer our patients soft contact lenses including daily disposables. 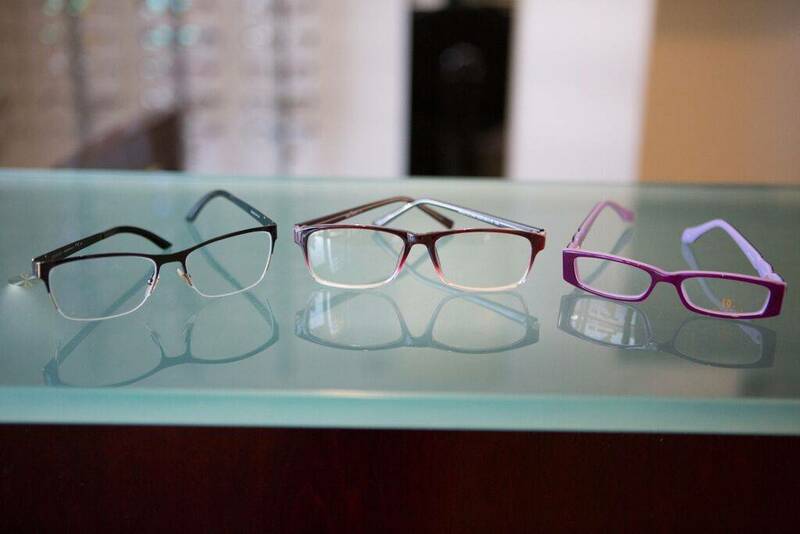 We also offer bifocal/multifocal contacts, toric lenses, and colored contacts. Whatever type of contacts you wear we have experts to help fit you for the perfect lens for you. Many times in life, One-size-fits-all can be really great! It takes the stress out of finding the right fit and is often quick, easy and convenient. But when it comes to contact lenses, one-size-fits-all is not only an uncomfortable, but also a potentially damaging, concept that can result in serious vision and eye issues. Contact lenses generally sit directly on the cornea, making it very important that the measurements of your contact lenses are 100% accurate to ensure a comfortable, healthy fit. This will prevent eye infections and other eye conditions such as corneal abrasion, a painful scratch on the surface of the eye that can make even blinking uncomfortable! Switching from glasses to contacts or changing your contact lens prescription are processes best overseen by an eye care professional like Dr. Mohebbi of Santa Ana, CA, who will measure your eyes properly and find the best fit for you. If this is the first time you are trying contact lense, you need to have a complete eye exam and evaluation to make certain you are a good candidate for wearing contacts. Your doctor will ask about your vision goals. For example, you may only want to wear contacts for sports once per week, or you want your contacts to replace your glasses for everyday activities. There are many choices in contact lenses these days, so your eye doctor will listen carefully and choose the lens that will best meet all your needs. Your contact lens fitting will involve a number of follow-up visits so Dr. Mohebbi can confirm the lenses are fitting your eyes properly and that your eyes are able to tolerate contact lens wear. At this visit he will make any necessary changes in fit or materials to make sure you are comfortable and happy with your new contacts. Our eye care expert in Santa Ana, CA teaches all our patients proper contact lens care and reminds patients about health consequences to their eyes if they neglect to care for their lenses and eyes properly. After the initial fitting and follow up visit, at your yearly visit Dr. Mohebbi will check to make sure your contacts are fitting properly, and you have the correct prescription. In case you have an irregularly shaped cornea or other eye problem, Dr. Mohebbi also fits scleral lenses. See our best selling contact lenses in Santa Ana, CA! Try daily disposable contact lenses - you can experience crystal clear vision every day, without the worry or stress of proper storage and cleaning. Before being fit with contact lenses, a comprehensive eye exam is performed, in which Dr. Mohebbi will determine your prescription for corrective lenses and check for any eye health issues that may interfere with successful contact lens wear. For hard to fit patients that prefer to wear contact lenses however, there are options available that can provide comfortable and effective contact lens wear. This requires a specialized fitting with Dr. Mohebbi, an expert that knows your condition and the various products available.